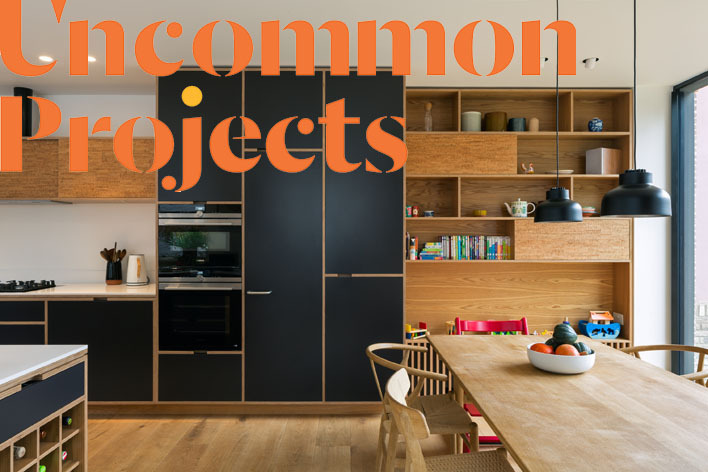 Uncommon Projects wins Kitchen Designer of the Year for Leytonstone House! Uncommon Projects have won Kitchen Designer of the Year in the KBB Review Awards for our collaboration on Leytonstone House. Alan was recognised for his beautifully detailed ply kitchen with navy blue fronts in the KBB Review category £30 – £50k. Congratulations to Alan and the team at Uncommon Projects on a deserved win! See the full project at Uncommon Projects here.